There is no youth ice hockey in Millbury, as is the case in most small towns, but luckily nearby Worcester has always been a big "hockey town" and the area offers several good hockey organizations, including my favorite (see below). 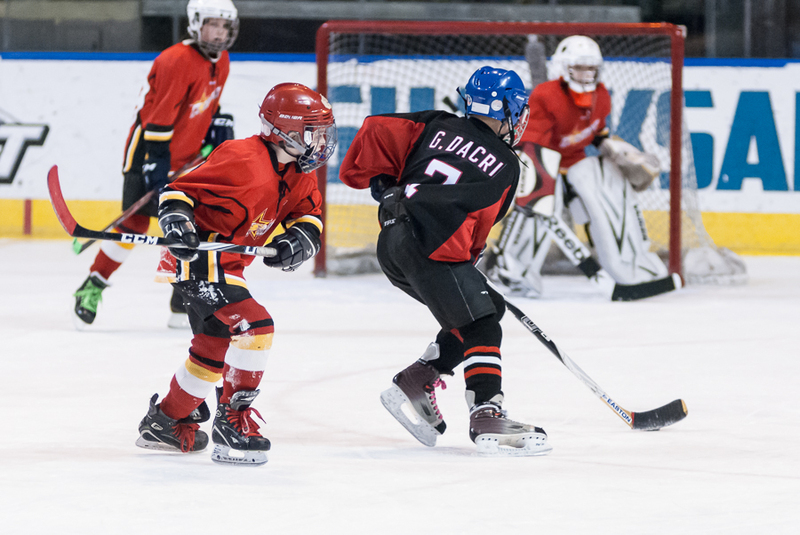 In mid-May 2016, the future of youth ice hockey - and I mean hockey for kids from all financial backgrounds - in the area could take a big step forward. I have loved ice hockey since I starting playing at age 4. If you don't play, I'll let you in on a little secret - there is something very unique about hockey people and the greater hockey community in general that I haven't seen in any other sport. It's hard to explain, but just ask someone you know who is already a part of the "hockey family" - it is a very special place. And it kills me to see kids who'd love to play, but can't afford to. That's where the Worcester Junior Sharks come in. Worcester Junior Sharks. Hockey has always been expensive - both for players to play and for organizations to offer. It is a big commitment in terms of money and time dedicated to it. As the only non-profit youth ice hockey organization in the area, Worcester Junior Sharks have figured out a way to make great-caliber ice hockey available to nearly everyone, which is why I am such a big supporter of them. More (or less) of a good thing. What I love most about the Jr. Sharks is that, like my favorite tech gear manufacturers, they don't give you a worse product for less of your time/money, they just offer a lesser amount of the same good thing. If you are interested in maximizing the amount of time on the ice per week and don't mind travelling to seek out the strongest competitors in the area, they have leagues for that ("AAA Elite" & "Travel"). If you love hockey and want dedicated, experienced coaches along with great local competition but can't make the time or money commitments of most leagues, they have a league for that too ("House league"). Update May 19, 2016. Planning board unanimously approved the rinks! May 18, 2016. Hockey's biggest hurdle has always been the limited amount of ice time available (at reasonable times of day), especially for young players. The two new rinks proposed for Worcester's Canal District would go a long way to solving this, especially for the Jr. Sharks & Jr. Crusaders. Please consider attending the Worcester planning board meeting on May 18th, 2016 (5:30pm) to push this great project forward! Content ©2011-2015 Brian Lahue. Any external use of photos without permission is prohibited. Powered by Blogger.